Great back workouts are essential to any good exercise program. Our back muscles are involved in just about every move we make each day, so it is important that they are strong enough to handle all of that work. A strong back also provides a solid foundation of strength for other muscle groups. You will have trouble being able to do squats or do a plank –two essential movements-if your back is weak. Sadly, back day is one of the most overlooked workout days. 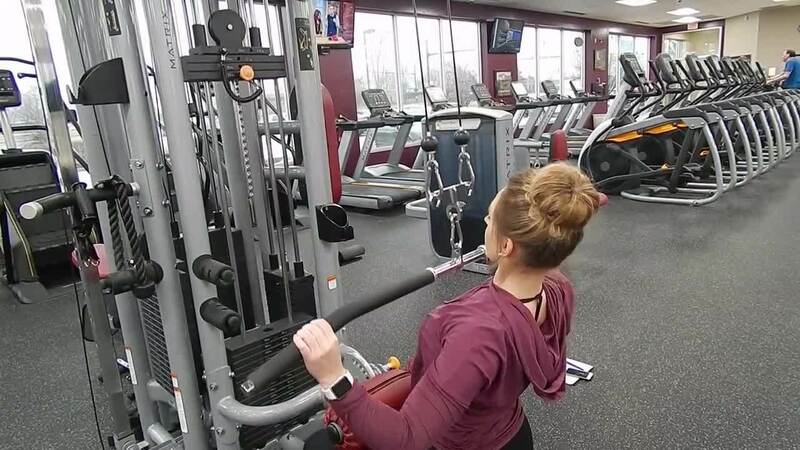 People neglect working out their back muscles because it is not as glamorous as some of the other muscle groups such as biceps, chest, and core. 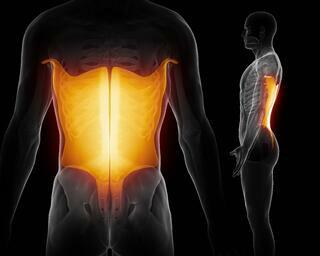 Overtraining your chest and neglecting your back can lead to muscle imbalance. Aside from the strength and functionality benefits of training your back, you’ll find that a solid back and well-developed shoulders make your waist look smaller. Start incorporating these back workouts into your routine. Step 1: Lie down on a decline bench with both legs securely locked in position. Reach for the dumbbell behind the head. Slowly lift the dumbbell up from the floor by using your arms. Step 2: When positioned properly, your arms should be fully extended and perpendicular to the floor. This is the starting position. 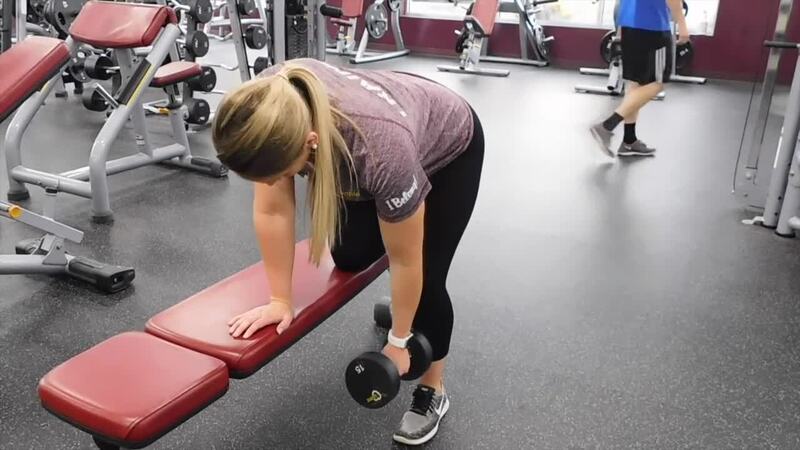 Step 3: Begin by moving the dumbbell back down as if you were going to place it on the floor, but instead, stop when the arms are parallel to the floor. Tip: Keep the arms fully extended at all times. The movement should only happen at the shoulder joint. Inhale as you perform this portion of the movement. Step 4: Now bring the dumbbell up while exhaling until you are back at the starting position. Remember to keep full control of the dumbbell at all times. Step 5: When finished with your set, slowly lower the barbell back down until it is level with your head and release it. Step 6: Complete 3-4 sets of 10-12 repetitions on each side. Step 1: Sit at the Lat Pulldown station and grab the bar with an overhand grip that’s just beyond shoulder width. Your arms should be completely straight and your torso upright. Step 2: Pull your shoulder blades down and back, and bring the bar to your chest. Pause, then slowly return to the starting position. Step 3: Complete 3-4 sets of 10-12 repetitions on each side. Step 1: Take a dumbbell in each hand and get down into push-up position so that your toes are touching the floor and your hands holding yourself up on the dumbbells. Step 2: Make your body into a straight line (Plank position). Step 3: Pull the right arm dumbbell up to your chest while you balance yourself on the other arm. Step 4: Complete 3-4 sets of 10-12 repetitions on each side. Step 1: Hold a dumbbell in each hand, stand with knees slightly bent. Step 3: Exhale and lift both arms to the side, maintaining a slight bend in the elbows and squeezing your shoulder blades together. Step 1: Sit down on the low row with your knees bent and grasp the cable attachment. It often has a triangle handle, but it may be a bar. Step 2: Position yourself with your knees slightly bent and so that you have to reach to grab the handle with outstretched arms yet without curling the lower back over. Step 3: Your back should be straight at all times, not bent, and you will want to keep your torso still throughout the exercise. Step 4: Brace the abdominals and you’re ready to row. Step 1: Hook the handle up to the cable machine and place the handle at a notch about waist height. Step 2: Grab the handle with one hand and pull it out so that the cable is tight. Step 3: With your arms extended bend at the knees and squat down till your knees make a 90 degree angles. 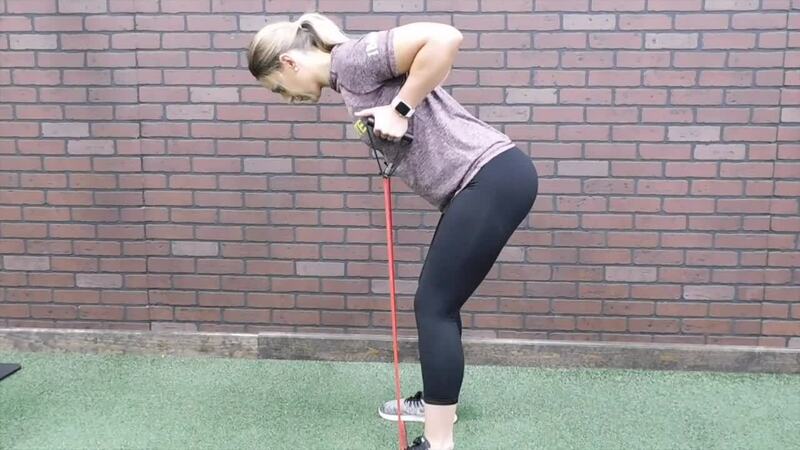 Step 4: while holding the squat position, pull the handle straight back and pinch your shoulder blades together. Step 5: Complete 3-4 sets of 10-12 rows while holding the squat position then switch to complete 10-12 rows on the opposite side. Looking for more great exercises? Check out the LivRite Fitness exercise library. Need help getting started? Our highly trained and certified staff would love to help you reach your goals. Click on the link below to request a trainer. Don't wait, start today!